How Can I Compress / Uncompress Files Using the File Manager? 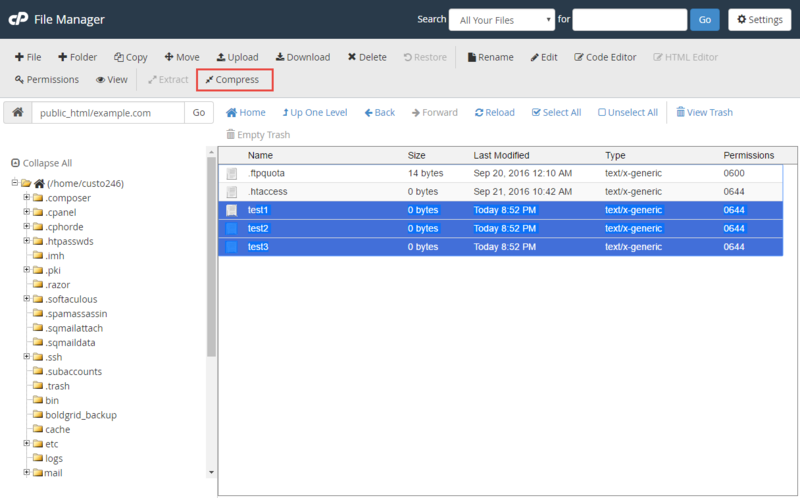 Your File Manager allows you to both compress (zip) and uncompress (unzip) files. While holding down your Ctrl key, click on each file that you would like included in the compressed file. On the "Compress" page, choose which compression you would like to use (such as zip or tar), enter a name for the file, and then click Compress File(s). Navigate to the folder location for the file you want to uncompress. 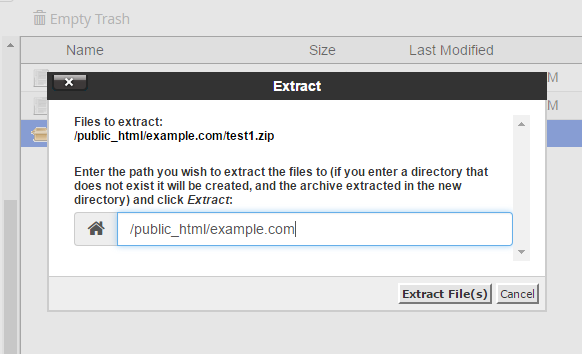 On the "Extract" page, choose the directory you would like to extract the files to, and click Extract File(s). If Winrar is not better than to try with compress. . . . i have ever used this one instead of doing compress files with file explore. Anybody have any insight as to how long this process takes? Trying to create a zipped archive backup of all my web files and it's been doing it for 4 days now.... Not sure how to tell if it's actually doing anything or if it's stuck. My site is huge, so I know that it will take a while, but 4 days?? Unless you have an unusually large website, it appears to be stuck. 4 days would have to be an absolutely huge site. You may want to try again. Thank you for contacting us. 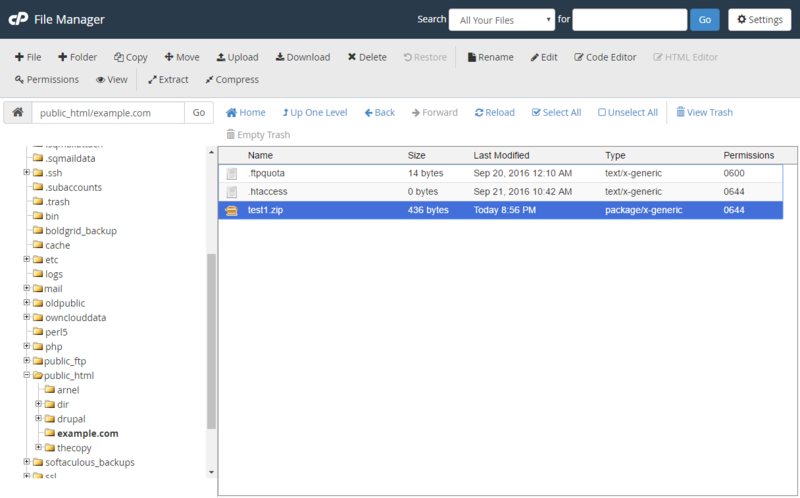 You can get to the File manager in cPanel, by clicking the File Manager button in the Files section. Step 1 in both sections above, include a link to our guide on Using File Manager in cPanel. Nested folders should extract perfectly fine. It may be this specific zip file that you are having trouble with. 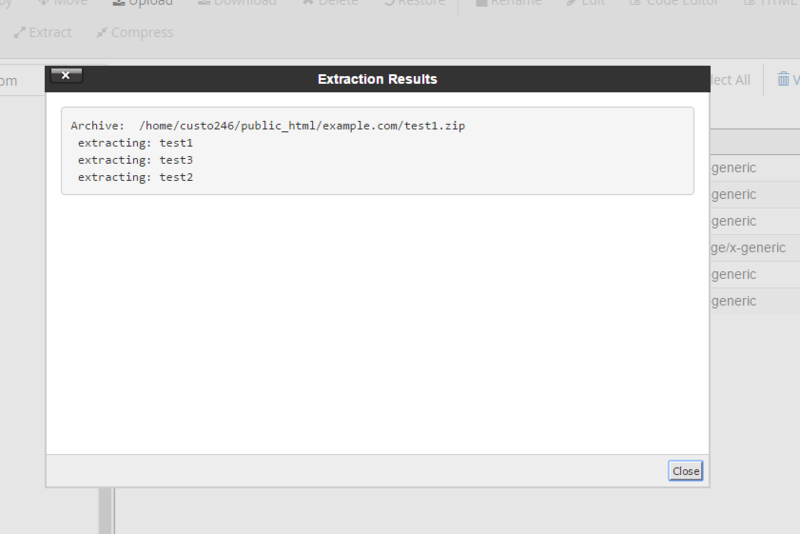 The extract in File Manager seems to skip nested folders in a zip.Any way to get these to extract properly? If you follow the steps above, they will walk you through compressing a file. This compressed file can then be downloaded by your visitors if you wanted to give them a link to it. Forgive the potential "n00b nature" of this question, but is compression method described above for compressing files you want to serve to your websites visitors or is this just for storing files on your hosting space?